The Konkan Belt covers the western coastal regions of Maharashtra, and ends at Uttara Kannada. 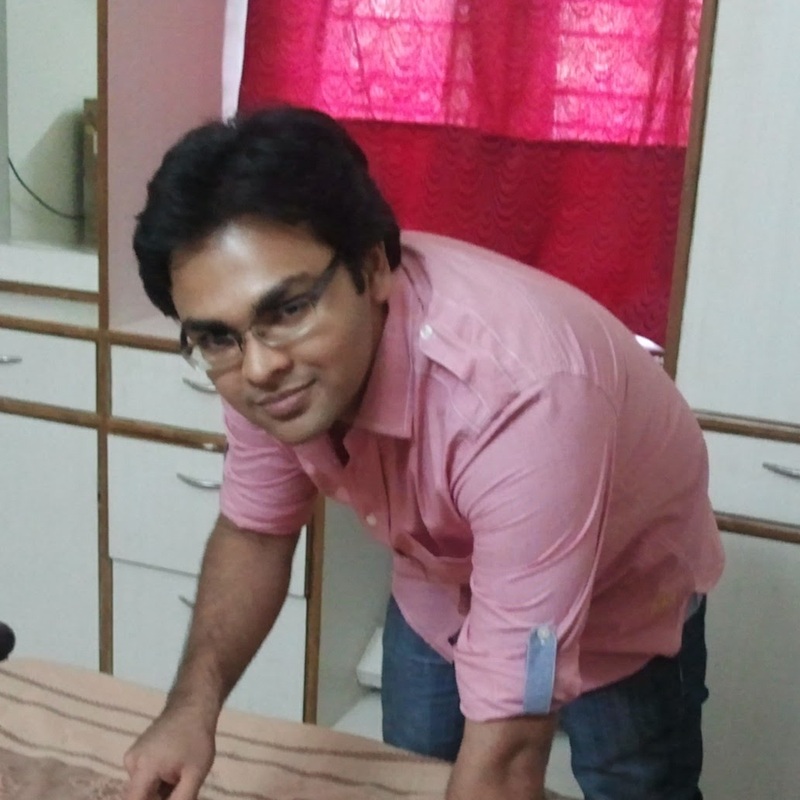 This belt is quite famous for Malvani as well as Mangalorean Cuisine. Food from this region predominantly includes elements such as kokum(malabar tamarind), fresh coconut, and Tirphal. The food repertoire at The Konkan is rather Mangalorean-food heavy. Let’s find out more. Located opposite the iconic Koshy’s on St. Marks Road, this place is not too hard to find. It is located in the first floor of the same building as K.C. Das. The ambience is rather understated. Clean whitewashed walls with a few portraits, newspaper clippings and some other pictures from across the Konkan region, well-spaced out wooden tables, a rather high ceiling and a few seats near the window which afford a glimpse of the busy street below. 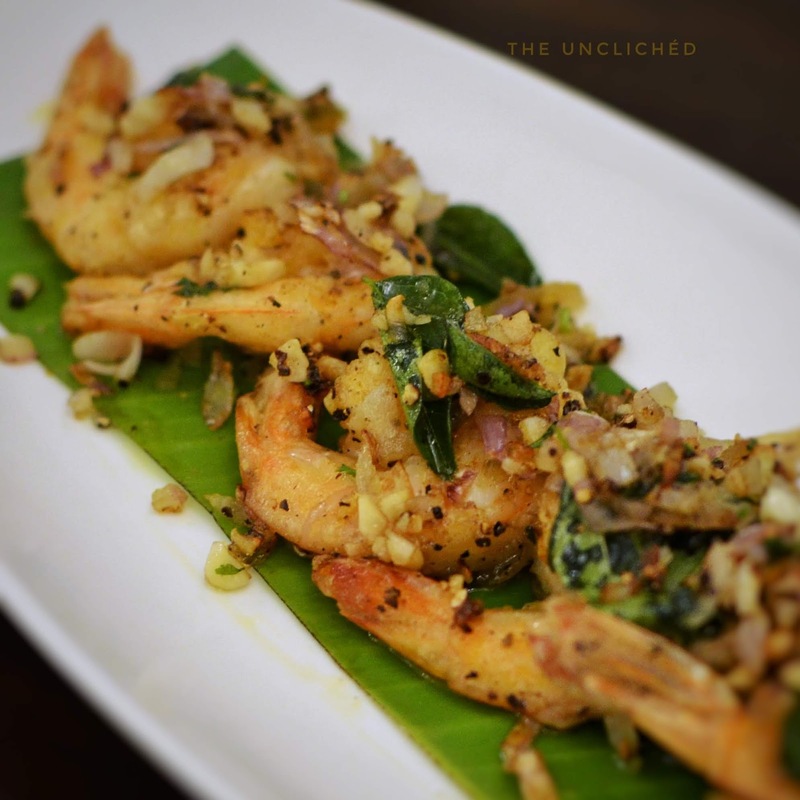 Butter-Garlic Prawns: Slightly-crispy medium sized prawns tossed in butter with shredded garlic pieces, curry leaves and coconut bits. This was divine! Chicken Ghee Roast: This is an oft-misinterpreted dish, with too much spice in a lot of places. It was done rather well here, and as red as it looked, the spice was at tolerable levels and not overbearing, and yet, the chicken tasted luxuriously rich, slightly-spicy and melt-in-the-mouth. Chef’s Special Masala Kane Fry (Lady Fish): This one was a beautifully cooked Kane fish in a green gravy of sorts and the flavors of coriander and tamarind were apparent in this. 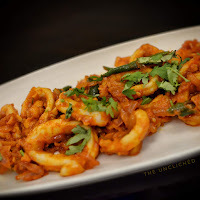 Squid Chili: Spicy Squid rings tossed in a spicy red-chili paste and garnished with cilantro, this dish will definitely turn on the heat. Tawa-Fry Surmai (Seer Fish): Another red chilli preparation, this was a shallow-fried piece of Seer Fish coated in a thin layer of red-chilli and other spices. Perfectly cooked, spicy and delicious, this was a satisfying end to the starters. Sannas + Pork Baffat: Perfectly soft sannas were the perfect accompaniment to a delicious gravy of succulent pork pieces cooked in spicy-tangy gravy. Brilliantly cooked pork, I must say. Ragi Manni: After a typically fiery meal, this was the perfect, though rather healthy end to a lovely dinner. 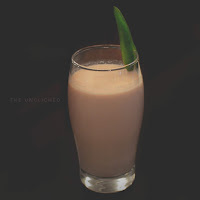 A pudding made with ragi (finger-millet), this had a gel-like consistency, and wasn’t too sweet. Ragi cooked in ghee with slight overtones of cardamom, jaggery and coconut was very well-done. Verdict: Overall, a pretty decent place to have authentic Mangalorean food, if you are in the area. Service is good, and pricing isn’t exorbitant.